Slim, dynamic and powerful, the Yamaha P-121 (73 keys) and P-125 (88 keys) are versatile and compact digital pianos which combine incredible piano performance with a user-friendly, minimalistic design. 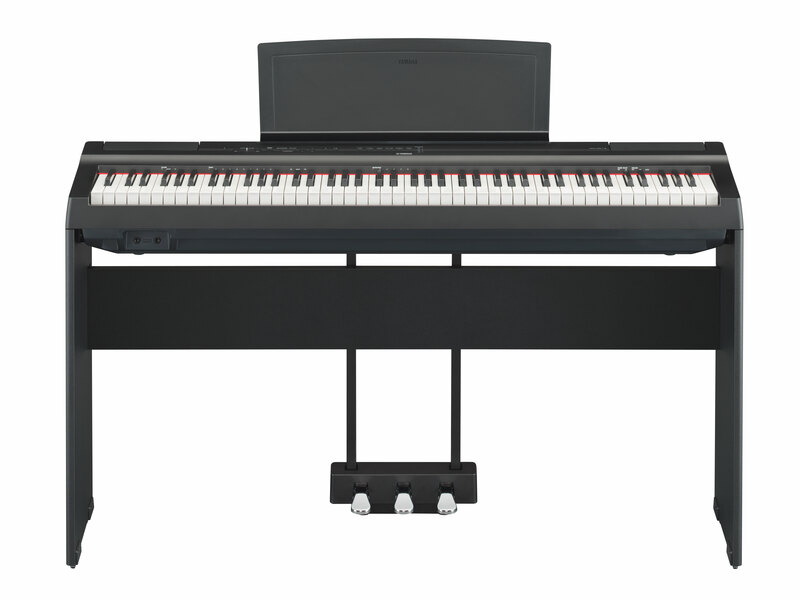 Both instruments feature Yamaha’s Graded Hammer Standard (GHS) keyboard with matte finish black keys for an authentic piano experience. Easily portable and extremely accessible, the versatility of these instruments allows you to experience the joy of playing the piano on your own terms. They produce the dynamic, high-quality sound and natural piano response expected from Yamaha instruments while maintaining a sleek and slim footprint. P-121 and P-125 include the sound of a renowned Yamaha concert grand piano which is faithfully reproduced, allowing for incredible dynamics and expressiveness, making Pure CF equipped digital pianos worthy of the Yamaha name. In addition, both pianos have onboard drum tracks to keep your playing in time. There’s a variety of rhythm patterns to choose from depending on the vibe you’re going for. Utilising a new 2-way speaker system and the latest acoustic technology, P-121 and P-125 offer authentic acoustic piano performance unique at this price range. P-121 and P-125 are also app-enabled instruments. Simply connect your iOS device and every feature of the instrument can be controlled through the free Smart Pianist app which also adds exciting new functionality.